I’m not saying I got a particular feeling in my gut, a knocking, a pinging, an alert of intuition or anything, but it did strike me that during the hour-plus Keith Thurman took questions from videographers and one or two writers at the famed and fabled Gleason’s Gym in DUMBO, Brooklyn on Wednesday that the name of his Saturday foe, Josesito Lopez, was mentioned like two or maybe three times at most. I’m not casting any aspersion on the Floridian Thurman, age 30, who is back in the ring after 22 months away, dealing with injuries and marriage and such. We, the press, lobbed queries at him and he was super-game at answering one and all, respectfully and often wittily. (If you think I’m casting an aspersion at some of the other not as amiable or professional pugs that I’ve been dealing with the last couple months, you are correct.) But it must be said, the majority of the chatter regarding Thurman’s Saturday Barclays Center tussle, which screens on over the air Fox didn’t focus on Lopez. And if the WBA welter champ Thurman does what his handlers and he expect him to do Saturday, this fact will fade into the who gives a s–t pile . . . but if the 36-7 California-based boxer’s walk matches his talk, then more will be made about the lack of attention paid to Lopez. So, let us not be falling into that trap, OK? Lopez is 34, probably not at his physical prime, but we shouldn’t assume he’s faded and for certain no one should assume he’ll be in Brooklyn to do the job. Lopez is well known to anyone that is a pretty serious fight fan. His 2011-2013 run, fighting Jessie Vargas (then 16-0), Victor Ortiz (29-3-2 then), Canelo Alvarez (40-0-1 then), Marcos Maidana (33-3 at the time), had his name in the news. He lost to Vargas; beat Ortiz in what was supposed to be a bounce-back for Victor after his loss to Floyd Mayweather; played stepping-stone for Canelo, who clubbed him to endgame in round 5; and then got stopped in round six by Maidana nine months after that. Since those setbacks he’s gone 6-1. Andre Berto is the biggest name he’s met in that span and Berto stopped him in 2015. Here’s a bottom line – Lopez’s chin isn’t teflon. He will hit the deck, now and again…and again. He could be there to help Thurman’s nickname to be apropos again. “One Time.” He hasn’t been all about that really, in a while. Danny Garcia and Shawn Porter went the distance, and Luis Collazo was pressing hard but then went to his corner and it was clear his vision was affected by a cut, so the ref halted it in between rounds. Robert Guerrero and Leonard Bundu also heard the final bell. Julio Diaz’s night ended because of a rib issue after the third. So based on Lopez’s track record, “One Time” might be in the building Saturday, and that would be helpful to his marketing momentum. Lopez’s last outing might have helped him get this Thurman gig. He is there to be hit, is OK to trade, his reflexes are not what they were 10 years ago. He’ll throw wide, with both hands, and a crisp worker, getting to the straightest distance between two points, can exploit that. Also, his power is mid-level, so even if there is some timing rust on Thurman, his chin should be able to weather a Lopez crack. Not that he believes all that. I chatted with Lopez on Wednesday at the famed and fabled Gleason’s Gym, in DUMBO. A bunch of the principals fighting Saturday on the Barclays Center card showed up and talked to reporters. “I came here to win,” Lopez declared as he waited to enter the ring to shadow box and get a sweat, for the cameras. “I am an underdog, I feel like an underdog, I come in here with the mentality of the underdog,” he said, noting he doesn’t read media or social media, and doesn’t much care what snipers might think. At 34, is he fresh and ready to rock? “I feel at my best,” he noted. The “partnership” with the Garcia family, Robert and Papa Garcia, who he calls “Big G,” he said, has proved most beneficial to him. (He worked with Henry Ramirez and joined Team Garcia in the fall of 2015.) “It’s not going to be an easy fight for me or Keith. I’ve trained at a championship level,” he said. Lopez said he had a long layoff, about two years, like Thurman, and he felt the effects of rust after his hiatus ended. But he expects top-tier Thurman regardless. No, he isn’t insulted that he was picked to be Thurman’s first after the hiatus. “I know that I have a tough task ahead of me but I also know I can do it,” he said. Really, how does he rate Thurman, on paper? Hard to say, he needs to see what happens in the ring, said Lopez. And what will he be on the lookout for? He needs to “dictate the pace, and control the ring,” the Cali boxer continued. He said he has prepared for a moving Thurman or a sit down on his shots version. For the record, Robert Garcia won’t be in Brooklyn, but “I have Big G here, who created Robert Garcia,” he said with a grin. The elder Garcia, Lopez said, “is like the boxing guru.” He speaks and Lopez’s ears perk up. The father will speak up when he sees something good and also when something needs correcting, the Thurman foe said. The dad is an OG, and is a proponent of old school methods. Going hard and even harder the next day. Days off? C’mon, every day is an opportunity to work hard on improving craft. Other Lopez people will be in the house, too; little brother, Victor, age 19, stood next to Josesito as he got grilled. 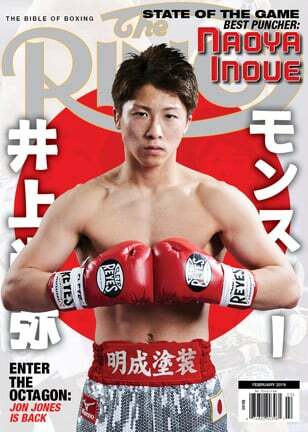 He was 10-2 as an amateur but right now is concentrating on learning and earning. He has a catering business, and his tacos, he said, are the best. Call 951-801-0062 and order up for your party in Cali (there is no Brooklyn outpost as yet.) Pork tacos are his signature dish, he informed us. Woods, a Brooklyn resident, was a staff writer at NY Newsday, before joining ESPN The Magazine (2003-2013). He edited TheSweetScience.com (2007-20015), publishes NYFights.com, calls fights for Facebook Fightnight Live and does the “Talkbox” podcast for Everlast. 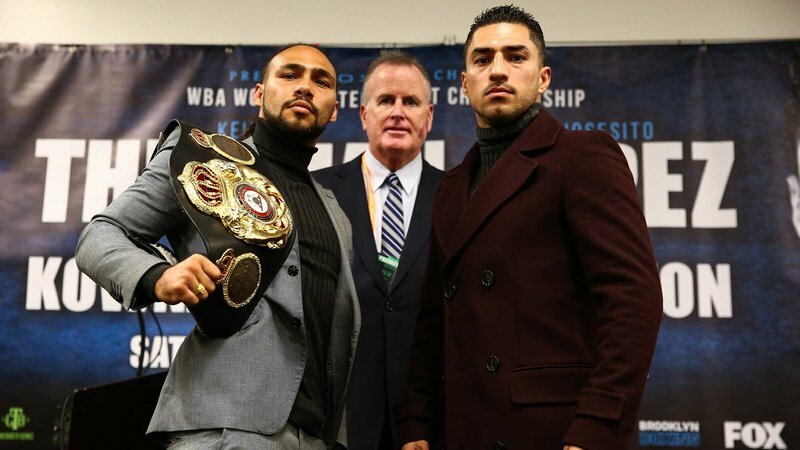 The post Josesito Lopez: ‘It’s not going to be an easy fight for me or Keith Thurman’ appeared first on The Ring.